I’ve already written about Saudi’s totally screwed future, but it’s nice to hear others saying as much. If you’re not about to click that old link and read that rather long piece, I’ll quickly summarize the Bad Things going against Saudi. Saudi’s still a kingdom; kingdoms are essentially giant mafia rackets where loyalty and a willingness to use violence are the currency of the realm. Saudi’s state is quite well established, as kingdoms go, but there’s very little of what we’d consider proper nationalism. It wasn’t until the 2000s that the government even started to encourage people to celebrate it’s independence day. In 2008, it got 93 out of 129 countries on UNESCO’s index on the quality of education. On top of that, most of its work is done in the oil industry, and recently, it’s become clear that without oil at $80 a barrel or above, the government can’t balance it’s books. Up to 10% officially (data that includes only dudes), and perhaps up to 25% unofficially. Top that up with women being denied almost any job available. With the United States projected to overtake Saudi in oil production perhaps as early as 2020 (! ), America’s strategic stake in the kingdom diminishes. Saudi’s infamous “oil weapon” goes blunt; what happens to the royals matters less. Crime is going up; protests are appearing here and there; Internet folks are being arrested. But there’s no sign this stuff is going to go away. People in the 1980s might have been happy getting a free house and smiling at the king. But no more. The kingdom must tighten its grip, but, like Governor Tarkin on the Death Star, the more they do so, the more slip through their fingers. The cascade is clear to see; Saudi society is already roiling, unstable, and ready for change, but the Saudi state is completely unable to do anything except crack skulls and arrest people. As oil prices flatten, Saudi is unable to pay its bills or fund the rising demands of its people. 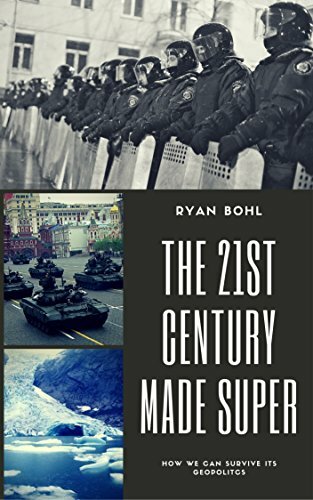 The comparison with Bourbon France is helpful here; then, a monarchy involved in too many foreign affairs and too self-involved to hear the demands of the street was caught off guard when the economy took a turn for the worst and people organized. Saudi Arabia has avoided the Arab Spring because it’s had the money to paper over the cracks in its society. But they’re about to enter a decade where they can no longer afford to bribe everyone. And those who aren’t bribed will be pissed. Some states can evolve and survive; others can’t and die out. 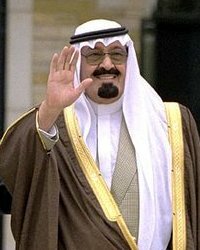 Saudi has all the ingredients of the latter; an inflexible system by which the monarch is in charge because God and only God says so; a security force tied by blood to this ruler; swarms of impoverished people intentionally left out of the spoils; no cultural way to ameliorate these problems except through violence. Saudi has no rule of law; no checks and balances; simply, I’m the king, I’ve got the guns, shut the hell up. There can be no room for negotiation, give or take, except on the monarchy’s tepid and completely inadequate terms. With America suddenly entering the game as an oil power again, as well as the world’s lowered demand in oil, what happens in Saudi will, like Vegas, increasingly stay in Saudi. There won’t be a need to intervene in a civil war that many will see as bloody, pointless, and, in a dash of schadenfreude for those who lived through the oil crisis of the 1970s, well-deserved. Oil prices will spike, but people will care far less. Few will want to touch the religious atomic bomb that is controlling territory shared by Mecca and Medina. As Matt Damon’s character in Syriania so aptly noted, people have been expecting Saudis to start cutting one another’s heads off for years. By who and when remains up the air. But the people of Saudi Arabia are about to have a very rough decade indeed. That’s a great point – Saudi Arabia is about to have more competitors, as well.